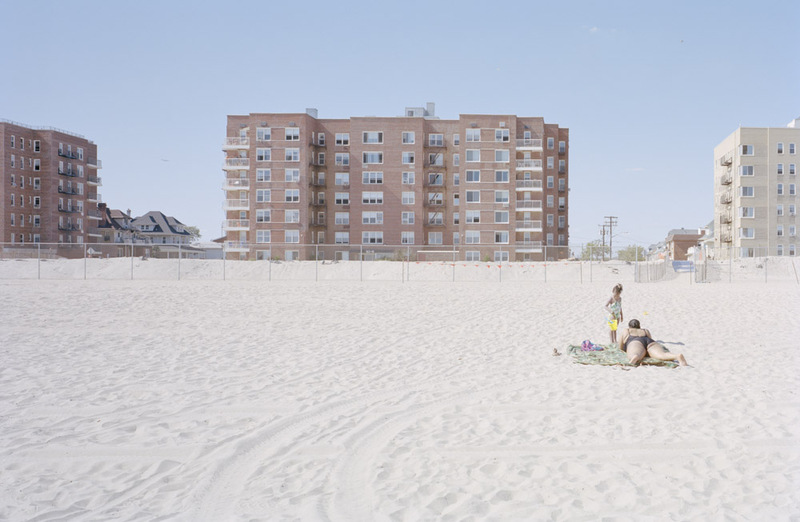 Ward Roberts’ large-format photographic series Flotsam portrays abstracted sunbathers upon New York’s canicular Far Rockaway Beach. Roberts’ twin signatures of controlled composition and faded color palette frame the relentless heat and isolated subjects of a seemingly anonymous beach. Whitest sands and deepest blue skies fade from harshest light, while airplanes soar high above the washed ashore sun-worshippers. 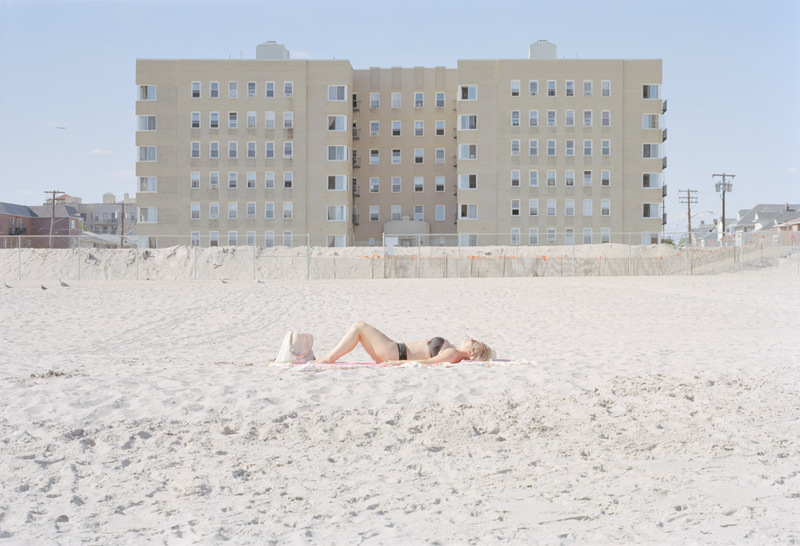 Roberts’ altogether surreal juxtapositions of beached castaways set against a waterless panorama of anonymous American suburban horizons, appear almost timeless. Ward Roberts lives and works in New York, New York. To view more of Ward's work, please visit his website. Ward's book Flotsam was published and is available by Atlier Editions.